Philanthropy for JoAnna Ness, M.A. ’18, began at a young age. Hailing from northeastern Indiana, Ness became involved with P.U.L.S.E. of Noble County, a service-oriented group launched by the Dekko Foundation. “I started volunteering with the group in seventh grade, and it showed me opportunities of how young people could get involved in philanthropy and inspire real change in a community,” Ness explained. She realized that she wanted a career working in the nonprofit sector. While attending Indiana University Bloomington (IUB), Ness majored in nonprofit management and interned at various foundations throughout Indiana. However, a feeling her senior year led to Ness applying for graduate school. “I knew I wanted to return to northeast Indiana and have a career there, but I needed extra training,” she said. With encouragement from Travis Smith, M.A. ’13, Ness applied and was accepted to the Lilly Family School of Philanthropy the fall after she graduated from IUB. Even with prior knowledge of the nonprofit sector, Ness learned new insights through several of her classes at the school. “Even though I had experience working with foundations, the course Grantmaking and the Role of Foundations with Dr. Catherine Herrold compelled me to critique the grantmaking process and ask better questions, such as ‘is this a helpful grant? Are foundations too powerful? Are they aware of the impact that their grantmaking can have on the immediate projects they fund?’ I really enjoyed the course and learned a great deal,” Ness said. She also enjoyed her History of Philanthropy course with Dr. Nancy Robertson. “She asked good questions that made me rethink ideas about power and philanthropy throughout history, while always finding ways to connect with present day,” Ness said. Her graduate assistantship placements and internship gave her practical experiences in the field. Halfway through the year, Ness began serving as the executive director, through her graduate assistantship, of Smithville Charitable Foundation in Ellettsville, Indiana. “I had a crash course in how to run a private foundation. It was a completely new experience that ultimately greatly benefited me as a professional and deepened my understanding of how one works with nonprofits as a grantmaker,” she said. 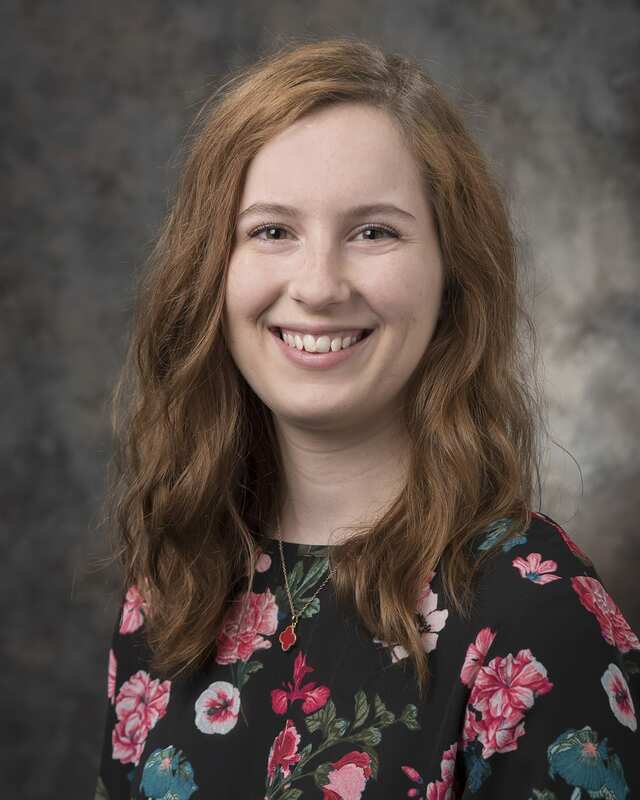 During the summer in between her first and second years, Ness also served as an intern at the Steuben County Community Foundation, which is led by fellow Lilly Family School of Philanthropy graduate, Jennifer Danic, M.A. ‘06. “It’s an hour away from my hometown, so I knew I could get a feel for the nonprofit sector in northeast Indiana by completing an internship there,” she said. During her internship, Ness worked in communications, conducting board and staff interviews and writing grant and donor stories. After she graduated last May, she accepted a newly-created position as the communications director for the foundation. “We discovered that it was a great fit on both ends, and the timing worked out well,” she said. “I applied for the position in my last semester of coursework and was able to start immediately following graduation. As the communications director, Ness ensures that the foundation’s donors are aware of current events and information through newsletters, press releases, and various social media outlets. “We had a recent project where a donor wanted to see where her grant dollars went. So we went and participated in the project, took photos, and shared her story as an example of a way that donors can get involved,” she said. “It’s communicating stories while also serving as a good steward for our donors. Ness also utilizes the questions she asked in her coursework at the Lilly Family School of Philanthropy to choose courses or training exercises that assist Steuben County nonprofits in building capacity. “I think about what I was challenged by or ideas that challenged my perspective that another nonprofit leader may not know about. Then, I look into training that could develop a nonprofit’s strategic plan or process so that it can do an even better job of serving the community in the future,” she explained. She’s using her connections at the school to further enhance her knowledge as well. “The philanthropic studies degree broadened my network. It’s an incredible advantage to study in a building with professors who are all experts in the field,” Ness said. “I look for who has research in this or hosts workshops on topics that support local organizations. I see names I recognize whom I feel comfortable contacting because I had a class with that professor. There’s so much value there, which makes the degree itself even worth more.